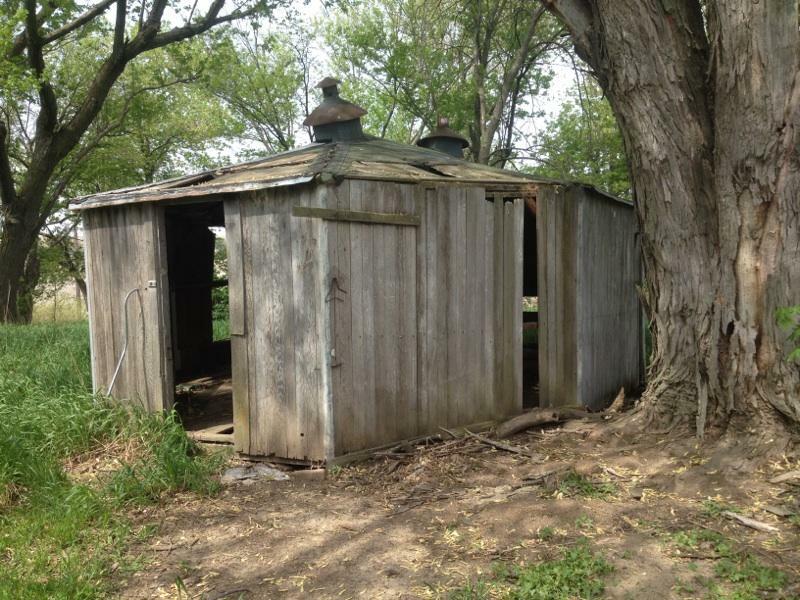 This octagonal chicken coop was built in the 1940s in Tekamah, NE and was originally part a group of six enclosures. Why octagonal? Supposedly hens like to nest in corners. After WWII, Elbert Coley’s family raised hens and sold eggs to the Army. The eggs were dehydrated and made into powder. 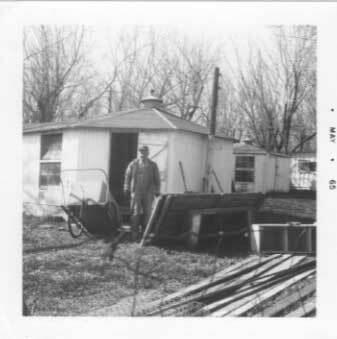 The Bisanz family moved to the farmstead in 1962 and kept hundreds of chickens in the coops, selling their eggs to a local creamery. 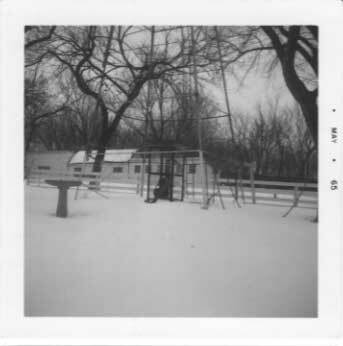 Two weeks after we dismantled the structure, a storm felled the tree on the right, which would have crushed the coop had it still been standing. Thanks to Linda Bisanz for sharing her family's history and sending us pictures. Carl Bisanz removing some nests in 1965. Little Daryl Bisanz feeding chickens, July 1965.